Manchester United have been grouped with Fenerbahce, Feyenoord and Zorya Luhansk in this season’s Europa League. 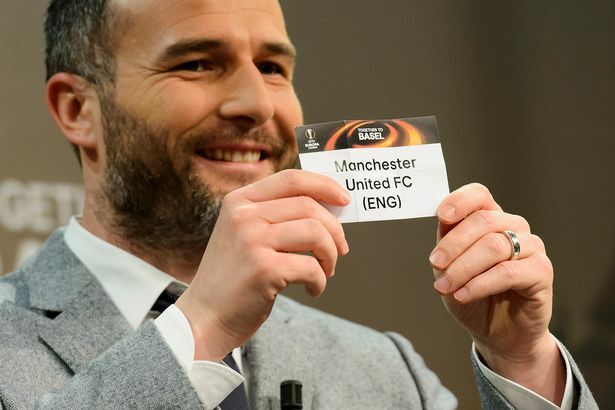 United, who were seeded thanks to their UEFA coefficient, have been drawn with Fenerbahce from pot two, Feyenoord from pot three and Zorya Luhansk of Ukraine from pot four in Group A. It is the first time United will take part in the group stage of the Europa League after finishing fifth in the Premier League last season. They were knocked out of last season’s competition by Liverpool in the last-16 after finishing third in their Champions League group. United’s first group game is scheduled for Thursday, September 15 with the last match on Thursday, December 8. The final will take place at the 50,000-capacity Friends Arena in Solna, Sweden on May 24, 2017. The draw will see a return to Old Trafford for Robin van Persie, who signed for Fenerbahce in 2014. Wayne Rooney scored a hat-trick in a 6-2 win Fenerbahce on his United debut in 2004. Jose Mourinho said: “We think we are in Champions League, very similar groups in the Champions League. It is difficult group but it is good.